What are the additional requirements for foreign clients? 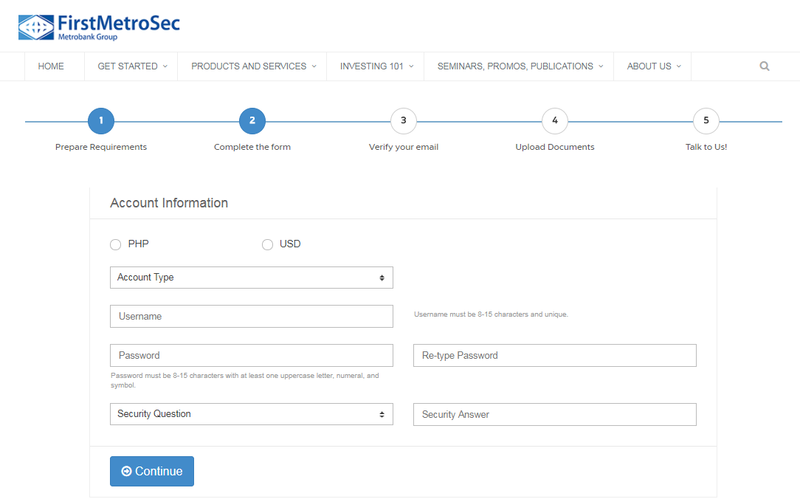 HOW DO I OPEN A FIRSTMETROSEC ONLINE TRADING ACCOUNT? 3. Upload all necessary documents through our website or you may email the documents on a later time. 5. You will receive an e-mail once your account has been activated. WHAT ARE THE REQUIREMENTS IN OPENING AN ONLINE TRADING ACCOUNT? Be ready to nominate a bank account where you want to receive your proceeds. FirstMetroSec is a Foreign Account Tax Compliance Act (FATCA)-Compliant Institution. For clients whose (1) birthplace, (2) home / office address, or (3) nationality is in the United States, they must fill out the FATCA Certification form. 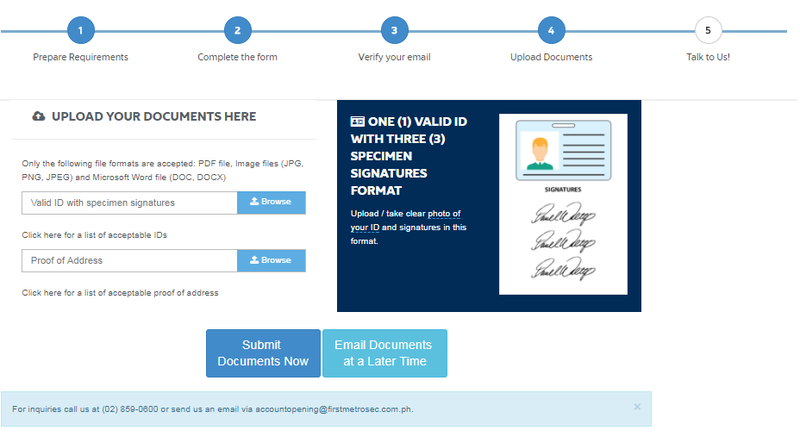 Please email customerservice@firstmetrosec.com.ph to obtain these forms. For clients with a MetrobankDirect account, opening an online trading account is FREE. Visit the Funding Your Account page for instructions of how to fund your stock trading account using MetrobankDirect. For clients with no Metrobank Account, initial investment of at least P 2,500.00 is required.